Problems With Your Gate Intercom? Call Us At Gate Repair Thousand Oaks! 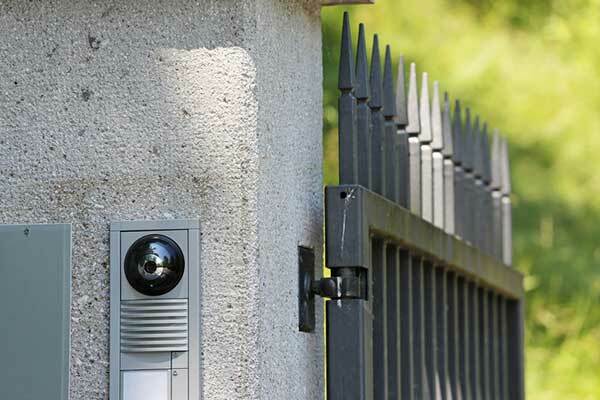 An intercom system is the best way of communicating with new arrivals, and a well-designed system should connect to the electric opener to let you remotely open or close the gate as you wish. No automatic gate owner should be without this type of device, and if your unit isn’t working you probably want to fix that quickly. Older or simpler phone entry systems are likely to have a physical cable connecting the receiver inside your building with the outside gate. More advanced systems use a wireless signal, and these wireless systems have been getting more and more common and affordable in recent years. Wireless intercoms are more reliable in most circumstances and less vulnerable to damage, but can also struggle in bad weather or if your property has a signal dead zone. If your phone entry system includes Digital Enhanced Cordless Telecommunications (DECT) technology, your friends, family and visitors will be able to call your intercom from a telephone, and vice versa. As well as making control and coordination easier, this can help you manage a larger property with multiple intercom nodes. These devices, like any other pieces of technology, can suffer from a variety of hardware and electrical malfunctions. In particular, if your gate’s intercom node isn’t well protected, it will eventually take damage as moisture, dust, and insects can find their way inside. Wired units are also vulnerable to fraying or stripping of the cable connecting your house with your gate. Fortunately, our team is familiar with the systems of all of the major manufacturers, and can repair or replace anything that breaks or malfunctions. If you don’t have a phone entry system at all, our experts will be happy to recommend one that will meet your needs perfectly. 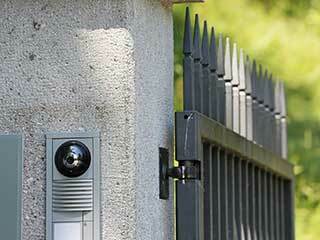 Inexpensive and professional intercom services are available anywhere in Thousand Oaks. If you find yourself in need of repairs or are looking to get a new phone entry system installed for your residential or commercial gate, all you need to do is give us a call.